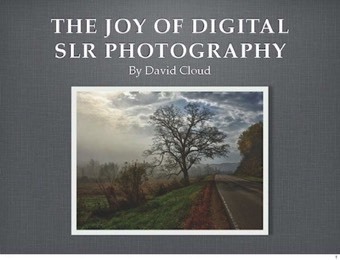 An advanced course on digital SLR (Single Lens Reflex) photography that covers many aspects of technique and technology, including megapixels, aperture, shutter speed, exposure, focus, ISO, flash, tripods, polarizer filters, photography basics, composition, HDR, and care of equipment. The last section teaches the student how to analyze his or her photos in order to improve them. 525 pages, full color. The book is only available in PDF digital format.